The Internet of Things or IoT as it’s come to be abbreviated has changed the role of the objects around us and the means by which we interact with them and that’s because the focus has shifted to enhancing customer experience for IoT and enabled devices. Data is now collected with the help of smart components, and businesses then probe it for insights to make smarter decisions about their products. The majority of these smart components are sensors, microprocessors, niche software, data storage techniques and tailor-made operating systems. They work collectively to leverage information derived from the data, and the way that’s done is causing that technology to be adapted by everyday people making everyday things. A new phase of user experience, Smart User Experience, has grown out of this and it has made the customer experience within IoT increasingly important. Here at 4GoodHosting, part of what makes us a top Canadian web hosting provider is the way we’ve got our ears to the ground with developments of this sort that carry weight in the digital world and will be of interest to our customers accordingly. Today, we’ll look at 6 ways you can enhance customer experience with IoT devices. Customer experience is playing an extremely vital role for connected devices, and more specifically smart user experience is front and centre with smart technologies pushing it forward. Being aware of their surroundings and sensing changes in their circumstances allows these IoT devices to take on measures that can be implemented to enhance their functionality. A quality smart user experience via the right interface enables companies to offer product iterations that consistently drive up the engagement factor and enhance the customer experience when using IoT devices. So those of you planning to provide a phenomenal customer experience for IoT products will want to take a detailed and deeply introspective look at how you design an IoT device. It will without a doubt dictate the way in which users interact with your products. Introducing a UX-based functionality that fails to comply with the core values that the product aims to provide is going to put you in a bad spot right off the hop. For example, adding Google Search through the touch screen of a bread maker might seem ingenious, but it will most likely be a distraction and nothing more. An interactive menu that provides quick recipes for different types of breads would be a much better and welcome choice. Features should always be introduced in a way that has them taking advantage of the core functionality of the device. Keeping the engagement quotient relevant and as unadulterated as possible is really important. Function should be right up there with the look and feel of the product too. Since IoT-enabled devices come equipped with sensors, they can easily capture loads of data regarding all sorts of inputs. The product should then be using this data to learn extensively about the user’s use preferences and then begin taking smart and automated decisions on its own. An air conditioning system that learns the correlation between the weather outside and the preferred temperature of the user would be a great example. If it then starts keeping the home temperature optimized autonomously, obviously the customer experience for the IoT device is enhanced in a big way . Smart interface designing in IoT can be personalized by users according to their preferences and this takes UX to a new level entirely. A good example is the POP Home Switch, made by Logitech. It can be quickly customized by the user to take control of the smart devices in the house by making use of custom recipes. A single click turns on the TV, while a double one activates the AC and locks the door. The examples listed above prove that a successful strategy for customer experience for IoT involves thinking beyond the usual interfaces based around screens. This is possible when you leverage the capabilities of sound, gestures and intuitive movements rather than designing a simple screen-based user interface. Your IoT device design should make things simpler while not introducing more complexity into the equation, but at the same time being designed in a way that it involves a minimal amount of training being required for the user. There’s an interactive IoT powered product called Knock that’s a great example here. This small wireless device has a simple yet powerful design that converts any ordinary service into a control interface, with users knocking on the service and the device then carrying out the user-defined functions on the basis of the number of knocks entered. This is an excellent example of a smart interface design as it’s especially simple for the user. It is indeed important to design for the appliance, but you’ll also need to keep in mind the broader picture and grasp the perspective of the whole IoT ecosystem. How is your device going to fit into this ecosystem?The reason this question is important is that the technological backdrop today is driven through screens and the UI of your IoT device can become lost along the way. The best aim is to design it with the intent of keeping machine-to-machine interaction to the maximum and autonomous behaviour to a minimum. Ensure your IoT device is able to easily integrate with the existing ecosystem, and not ending up creating one on of its own. Engagement is always the primary and most valuable aim for IoT devices. The more the user interacts with the IoT system, the more data that can be collected and the system is then more able to optimize itself accordingly for best results and customer satisfaction. But it is also crucial to place the center of control in the hands of the users. Simply, the interface design should make them feel like they are entirely in control. Remote user interfaces go a long way in this regard, and they go very well with the core idea of the Internet of Things where a connected virtual world that can be accessed and controlled anywhere and anytime is the big picture goal. Designing for scenarios that enable automatic remote access is the trend now.One example would be an IoT application where when you start your car before heading home at the end of the workday, the air conditioning system of your house will be activated to reach your optimum temperature when you arrive. In conclusion, it is crucial that you make your IoT platform – whether one already in the market or one you are developing yourself – to be a memorable experience for your users that drives them to the maximum amount of engagement.The key here is to make the functioning of the platform as immersive, personalized and simple as possible, and combining the experience of various devices from an array of companies to capture as much market as possible is a wise approach. Making your product ‘smart’ is not enough to grab the attention of users these days. You need to carve out your niche by doing what your competition has yet to do, and that is focusing more on designing smart interfaces and the UX experience overall. We imagine a good many of you will have heard the term ‘proxy server’ more than a few times but not have a clue what it means. Think of all those times you’ve seen someone visit your LinkedIn profile in anonymous mode. A proxy server is a computer that is used as an intermediary, of sorts, between your computer and the websites you are visiting. The purpose of its function in doing so is so that you can surf anonymously or bypass an blocking capability of the websites you’re visiting. More simply, proxy servers hide your home IP address from websites that would otherwise be able to take note of it. Here at 4GoodHosting, it’s been a long road to becoming one of the best Canadian web hosting providers, but we like to think that a good part of our reputability is in the fact that we have a more value-added proposition than many of our competitors, and being informative and helpful regarding everything in the web world is definitely something that’s helped us out. So let’s look at proxy servers in greater detail this week, and see what makes them so appealing in certain instances or scenarios when you’re making your stops along the information superhighway. One of the primary appeal of these servers is that they allow you to leave an anonymous comment on a website. The website’s owner may choose to block the proxy’s IP address, but it won’t be blocking your home IP address. Trying to track the IP address wouldn’t have any ability to track back to your genuine home IP address. You won’t care much if the proxy server’s ID is blocked, and that’s kind of the idea. Proxy servers used to be the only way anyone could access the world wide web, but times have certainly changed. Hackers now often use proxies to get behind network firewalls. Say a building’s computer is being used as a proxy to get behind the network firewall of that building because the IP address of that computer would be allowed there. A proxy server is a hacking tool most commonly, despite the fact it was up until then the only way people could use the internet. At that time computers would basically be fighting with each other while trying to access the internet, so that one computer in a building would be the proxy and all of the other household computers would be working to gain an internet connection from it. The first major drawback for proxies is that they have incredibly low speed, and slow internet connections and inefficient hardware will make that speed even slower. Proxies also affect all browsers, so forgetting to turn it off may result in you entering information you don’t want to be volunteering while your’e still using someone’s proxy. Keep in mind again that proxy servers are often hacker tools. Hackers generally are the ones to use them, as well as those responsible for creating them. It slows down their computer and clogs it hopelessly, so what’s the appeal exactly? Well, quite simply the aim is to gain mass amounts of information from people with as little work as possible. With that understood, never save passwords over a proxy. Any information you enter is initially sent through that proxy server, and you can be certain those hackers are saving that information. Always understand that while you might be using a proxy server for anonymity, there is a chance that whoever is providing it may well be using it for criminal purposes. It’s not all nefarious stuff when it comes to proxy servers. The privacy and anonymity appeals for proxies can be quite genuine. You can browse without websites knowing where the original request came from, and then personal information and browsing history remain private. Proxy servers are popular for companies and schools when they are aiming to control where their employees and students can and can’t go online. Parents and school boards are also able to monitor children and employee’s browsing habits to be responsive to irresponsible or unproductive behaviour there. Information is sent from your computer to the proxy, which then passes it along to the Internet. It’s going to be possible to link the two from the other side if the path exists in one direction. It’s quite possible to trace a proxy. If the police get a search warrant for your IP address, your company will be obligated by law to give them your information. You may think that proxy servers sound much like virtual private servers (VPS servers), but they are not the same. The only function shared between them is that they both hide your home IP address. There’s more than one way to set up a proxy server if you require one. For starters, there are websites that will allow you to use their proxy servers, but again beware of hackers who will skim your information if they get the chance. Remember – if you can access their server, they can access your computer. These website proxy servers are almost like a private browser on Google. If maximum and reliable anonymity is what you’re after, there are also ‘proxy changing’ services you can use that change your IP address every minute. However, they do tend to be expensive. Having coaxial fibre optic cables crossing oceans underneath the sea floor has been commonplace for years now, but it would seem as if we’ve moved into new and definitely uncharted territory when it comes to having a part of the world’s digital connectivity found beneath the surface of the sea. This past month saw Microsoft deploy – or more shall we say sunk – a shipping container-sized datacenter to the bottom of the sea near the Orkney Islands in Scotland as a part of its ambitious ‘Project Natick.’ This 40’ long datacenter is loaded up with 12 racks of 864 servers and 27.6 petabytes of disk. What’s most impressive, however, is the way Microsoft claims it can hold data and process information for up to 5 years without maintenance. Here at 4GoodHosting, we’re not unlike any other first-rate Canadian web hosting provider in the way we’re super keen to be right on top of groundbreaking developments in both technology AND the way it’s deployed as it relates to the online world. This is definitely one such example that’s worthy of mention and then some, so let’s take a long look at it this week. Microsoft’s capsule-shaped is called the Northern Isles datacenter, and it is the working equivalent of thousands of high-end personal computers. It will use the low temperatures of the surrounding sea water to cool the datacenter externally, contributing to the biggest benefit of this datacenter – dramatic reduction in cooling costs and electricity consumption. 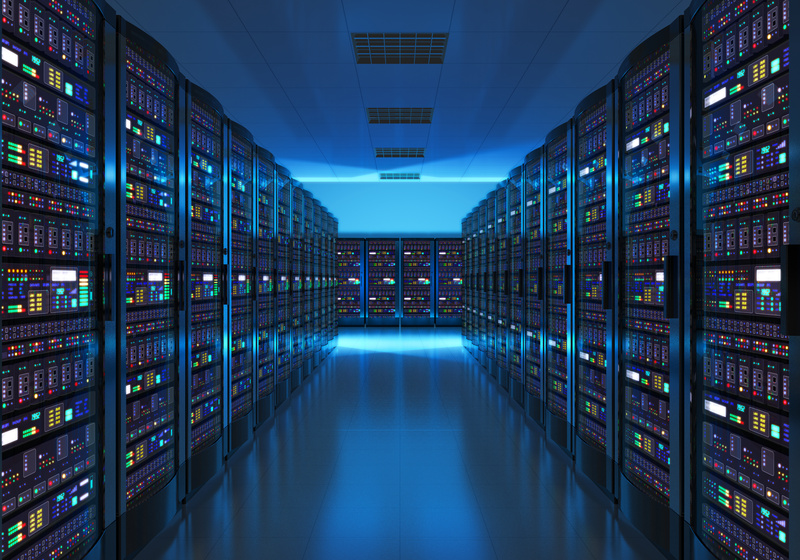 The Northern Isles datacenter will use specialized radiators that leverage technology from submarines to cool the internal hardware, while also using artificial intelligence (AI) to detect any signs of failure in servers or any other equipment. All in all, it will operate like any standard data center deployed on land. Electrical operating power will be supplied by the Orkney power grid, with renewable energy being generated via sea waves, tide, windmills and solar plants. Working towards eco-friendly sustainable solutions is admirable on Microsoft’s part, and Project Natick is a step towards their vision of data centres with their own sustainable power supply. It also expands upon the environmental promises the company has made, including a $50m pledge to use AI to help protect the planet. Interesting to note here that more than 50% of the world’s population live within about 120 miles of a body of water. Locating data centers in water bodies near coastal cities will bring data closer to the billions of people who utilize the World Wide Web. It will result in fast and smooth web surfing, video streaming, game playing, and authentic experiences for AI-driven technologies. Project Natick is at present an applied research project, and the team behind it will be monitoring and recording its performance, power consumption, internal humidity levels, temperature levels, etc. for the next full year before any changes, upgrades, or reorientations are made. With available land in many major urban centers being increasingly at a premium, the idea of locating data infrastructure underwater is not only revolutionary, but it’s exactly the kind of ‘outside the box’ thinking that is needed more and more as we move into some of the uncomfortable realities of the 21st century. You may think that there’s not much more to your domain name than a simple identity and location where your website is situated for discovery on the World Wide Web. In essence that’s all it is, an address where you can be found. But of course there’s significant value in that, and especially so for anyone who relies on being business online. It’s a fact that scams involving domain names have been increasing at an alarming rate. Here at 4GoodHosting, a part of what makes us a reputable Canadian web hosting provider is the fact that we strive to look out for our customers’ well being on the web. There’s an increased chance that someone with bad intentions may try to use your domain name to take advantage of you, so we’ll identify some of these scams and share some tips here today that you can use to guard yourself against them. The Domain Registry of Canada, or DROC, has been in operation for years, leading many Canadians to be confused regarding what looks like a renewal bill for your domain names. 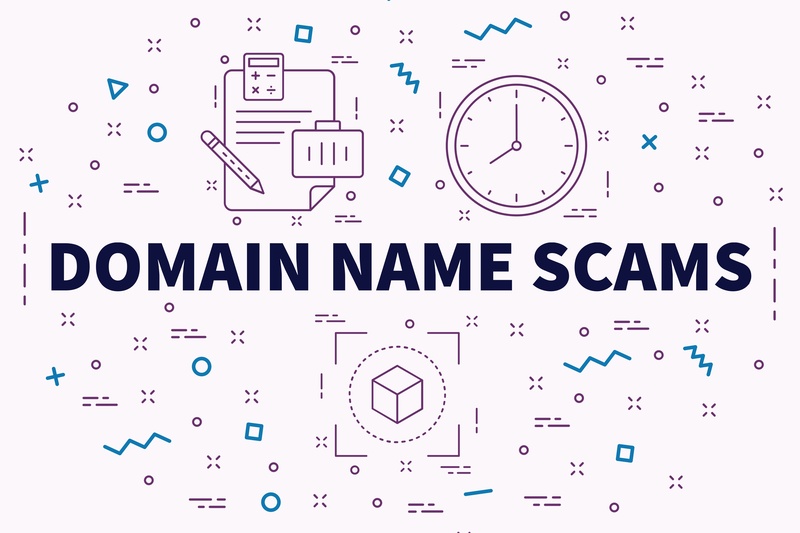 This scam is the version of ‘domain name slamming’ you’re most likely to come across, a it’s a type of scam that aims to overcharge or falsely charge domain name owners. It’ll most commonly start with your receiving a letter that begins by informing you that your domain name(s) will be expiring in the near future. You’ll then be presented with a list of prices for renewal over different time periods before concluding with a tear-away payment stub you’re to use to ‘renew’ your domains. The trick here is in the way they bury information in the walls of text in the letter. If you look and ready very closely, you’ll see that the DROC is actually asking you to change the company you register your domains with. Most commonly this will be snuck just under or above something more attention-grabbing like “failure to renew your domain name by the expiration date may result in a loss of your online identity”. This of course gives you a sense of urgency to react, and individuals can be conned into paying up to 3X the price of a standard domain renewal. As if that’s not bad enough, you may also end up losing access to your websites and emails for extended periods of time. Whatever such guise they’re using, they all use some variation of the same practice of mass mailing unsuspecting domain owners. The templates and logos may vary slightly, but the principle remains the same. As mentioned, these scams need the domain name owner to feel a sense of urgency, but also a sense of fear of losing ground to the competition if they remain inactive or even delay in responding. Generally delivered via email, these types of scams won’t request that you transfer your domain name, but they will ask you to purchase the same domain with a different extension. The standard ploy is to suggest that your domain name ownership is under question (almost never the case in reality), before sharing the helpful recommendation that you pay for the new registration yourself to wisely protect your brand and copyright around the world. Their hope is that you’ll be sufficiently intimidated and ‘too busy’ to look into the matter much further. Then you’ll pay rather than spend time and resources pursuing what would be ‘legal matter’ developing out your continued inactivity. 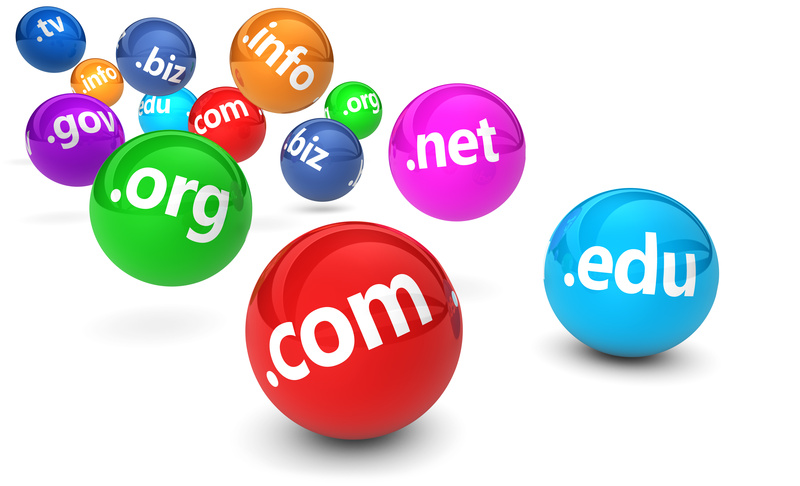 We are a Network Service Company which is the domain name registration center in _____. But after looking into this further, we have found that “(yourdomainname)” conflicts with your company. In order to deal with this matter in the speediest and best manner, we need to send you an email and confirm whether this company is your distributor or business partner here in _____ or not. The communication seemingly comes from an overseas company, and the email warns you that a there is a mysterious competitor that is aiming to purchase a variation of a domain name for which you’ve had ownership, but usually with a different extension, such as .com.cn. As there is a potential copyright conflict, this scammer is very kindly offering you the option to beat them to the punch and secure the new extension domain for yourself. The WHOIS database is a massive collection of information on the ownership of most domain names, and it also includes detailed contact information for owners and administrators. It needs to be a public database, but unfortunately that allows certain dubious companies to be able to scrape its data and store the information they need to solicit unsuspecting domain name owners. Luckily, you can guard yourself against any such occurrence. There are 3 primary ways to effectively safeguard yourself from domain slamming. Choose to activate privacy protection as a means of shielding your personal information on the WHOIS and the information will then be inaccessible to spammers and scammers. Noe that individuals registering .CA domains receive this protection FREE by default. Keep your eyes peeled, scrutinizing any such communications and trusting your instincts. If it seems illegitimate, it probably is! Read through the content critically and if you continue to have doubts then Google search the company’s name or email address. If the results share talk of scams, immediately discard and ignore the communication. When a scam email is received, mark it as spam in your inbox and forward it to spam@fightspam.gc.ca. The antispam filters will make a note and should be able to reduce the number of messages of this type in the future. If you receive a scam email or letter, or have been the victim of one of these scams, keep in mind you’re not the only one who’s been duped and that it’s not any reflection on your smarts. Canada has an Anti-Fraud Center which you can contact as well as Canadian Anti-Spam Legislation (CASL) where email scams can and should be reported.